Paying off a mortgage loan takes a very long time, especially if it’s a 30 year or longer loan, so you might want to pay it off earlier than that. While paying off a mortgage sooner than its term has its disadvantages, like being left without savings or not being able to invest the money instead, it can also be very beneficial for most borrowers. The peace of mind and savings in interest that paying off your loan sooner bring can far outweigh the negatives (Read: Should You Pay for You Home In Cash Upfront?). A mortgage payment is most people’s highest monthly bill, so getting rid of it will free up a significant amount of money each month. That money can make your life a lot easier. You can afford to pay off other debt, take out another loan, or use it to live better. Unfortunately, in order to pay off a mortgage earlier, you will have to come up with a large sum of money if you want to pay everything all at once, or more money each month if you decide to pay it off by making extra mortgage payments. Unless you have significant savings, inherit a large sum of money, or receive a pay increase from work, you are facing some difficult financial times until the debt is paid. 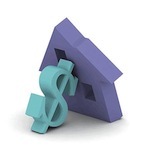 There are several ways in which you can take care of a mortgage loan earlier than its term. Some methods are quicker than others, or require a larger sacrifice, but all of them will help you get rid of your mortgage quicker than the loan’s original term. Here are the most popular ways of paying off your mortgage early. Pay more each month or make extra payments. You can add an extra amount to each monthly payment each month in order to pay off the loan early. Alternatively, you can choose to make a mortgage payment every two weeks instead of each month, which will result in 26 mortgage payments made each year, instead of only 12. Pay a large part or your entire mortgage at once. You can use money from your savings, investments, bonuses or an inheritance to pay off a portion of your mortgage or even all of it. Refinance into a shorter term. Refinancing your mortgage loan into a loan with a shorter term will make your monthly payments larger, but, if you can afford it, it will help you save significantly in interest (Read: Things to Remember Before Refinancing a Mortgage). Depending on several factors, paying off your mortgage sooner than later can be to your advantage (read more here). Generally, the benefits outweigh the downsides, but taking this step is not something that many home owners can afford to do. Unless your interest rate is really low, you should do your best to try and pay off your mortgage loan early. Here are some of the reasons why this is a good choice. Peace of mind. Like most people, you probably have a lot on your mind. Taking care of your largest monthly bill will surely relieve a significant amount of stress, and make your life and your family’s life much easier. Truly owning a home is a great feeling, and you shouldn’t wait until you are old to experience it (Read: Are You a Twenty-Something Wanting to Buy a Home? Here’s What to Know). Not having to pay a mortgage anymore also means that you have other possibilities of investing and you are more in charge of your financial life. Savings in interest. With a 30-year mortgage loan you pay almost as much on interest as you do on the principal. Paying the principal early means that you will save tens of thousands in interest. Making just an extra mortgage payment per year can save you thousands of dollars. Improve your credit score. As long as you have a large debt, you are considered a large risk, and your credit score will reflect that. Once you get rid of your mortgage, your credit score improves, and you will be able to qualify for more credit. You can get new loans, for buying a car or even a new home, because your cash flow will be larger (Read: Top 10 Components for Maintaining a Good Credit Score). Avoid the risk of losing the home. Investing money while you still have a mortgage is riskier because, if something goes wrong with your investments, you risk losing your home as well. Also, losing a job or having large medical bills will increase the risk of losing your home. If your mortgage is paid off, the home is yours and you don’t risk losing it to foreclosure anymore. Most times it makes sense financially. Some people will argue that you lose the tax break, or you could earn more if you invest the money. That may be true is some cases, but the tax deduction argument is often exaggerated, and you are probably saving more in interest than you would make on an investment. To read more click here. Even though there are reasons why paying off a mortgage early is not recommended, most of the times the benefits of doing it are far greater than the alternative. Sure, having cash on hand for emergencies and making other investments makes sense, but so does avoiding paying tens of thousands in interest. But probably the biggest advantage of paying off your debt sooner is the peace of mind that it gives you. Living with the knowledge that you can lose your home if you come across financial problems is very stressful, so paying off your mortgage early not only saves you money, but also allows you to enjoy life better.